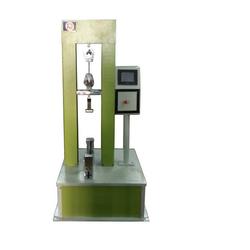 Our product range includes a wide range of six pillar universal testing machine with hydraulic grips, 200 kn servo control universal testing machine, table top servo control universal testing machine and servo control universal testing machine. 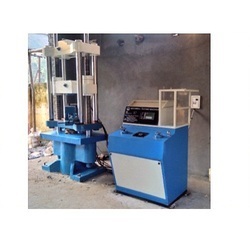 We are the leading supplier of Six pillar Universal testing Machine with Hydraulic Gripsmade available to our clients at competitive prices. We are indulged in manufacturing, supplying and trading a wide gamut of 200 KN Servo Control Universal Testing Machine Latest machines and advanced technology are employed in the manufacturing process following standards & norms of the industry. 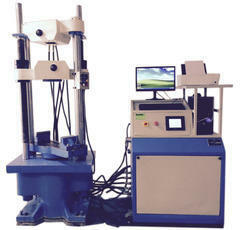 These machines are extensively used for testing purposes. Speeds: Straining at variable speeds to suit a wide range of materials. 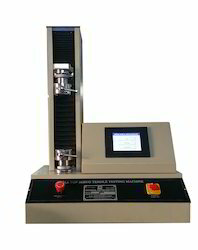 Facilities for tests: Motor-driven threaded columns for quick and convenient adjustment of lower cross- head to facilitate rapid fixing of the test specimen. Autographic recorder: Simultaneous roll autographic recorder supplied as standard to enable the study of the behaviors of materials. Ideal Dia: High reading accuracy due to large size ideal design of dial. Large columns: Large effective clearance between columns enables testing of standard specimens as well as structures. Easy Changeability: Easy change from plain to threaded and screwed specimens. Simple & Safe: Simple to operate.